Your old Main Tank's Quel'Serrar. This is the weapon of an MC Raider. Not as clumsy or random as a Lanzador tiroexplosión; an elegant weapon for a bygone raiding era. 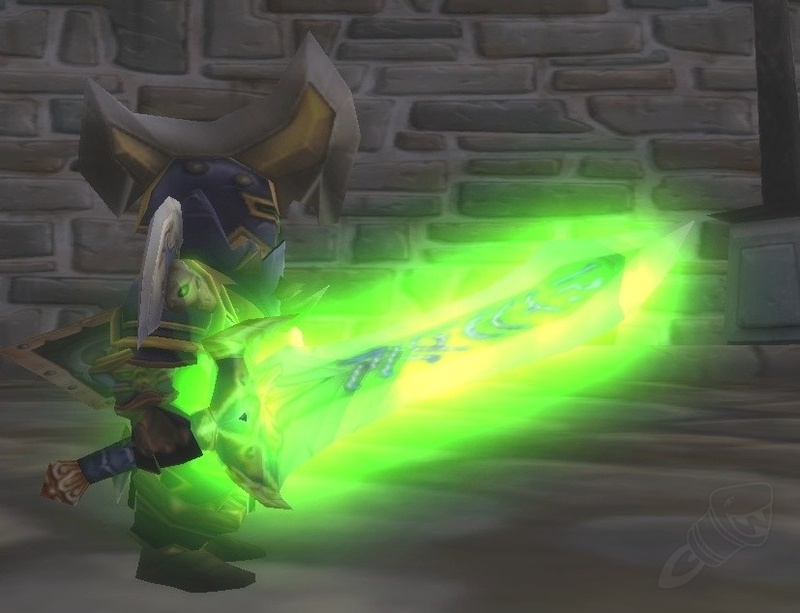 For over a hundred raid resets, the wielders of this sword were the guardians of healers and DPS'ers in the Old Raids. Before the dark times....before boss recycling. Equipar: Otorga al portador 14 p. de esquivar y 21 p. de armadura durante 10 sec.